81707 Pasir Gudang, Johor, Malaysia. PGEO Group is wholly owned by Wilmar International Limited, one of Asia's largest integrated agribusiness groups. 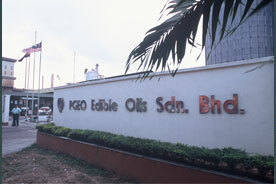 PGEO Group's main activity is the manufacturing of edible oils. Its activities are vertically integrated, beginning with the conversion of crude oils into refined oil products to the marketing of these oil products in bulk, steel drums and consumer packs for the local and international markets. It has one of the largest refining capacities in the country with eight refineries in Peninsular and East Malaysia. Annually, PGEO Group refines more than 4 million metric tonnes of edible oils and about 90% are exported overseas to China, India, Unites States, EU countries, Middle East, Pakistan, Japan, Philippines, Australia and New Zealand. In addition, PGEO Group is also actively involved in crude palm oil futures trading, soyabean and palm kernel crushing, oleochemical manufacturing, steel drums manufacturing, manufacturing of calcium salt for animal feed and other downstream activities like the production of shortening and hydrogenated products, cocoa butter replacer and other specialty fats. On top of that, PGEO Group has diversified into the renewable energy industry beginning with the operations of biomass steam generation plants to supply steam, electricity and chilled water to three of its factories. Subsequently, it marked its presence in the biodiesel industry with the commencing of a biodiesel plant in January 2007. In November 2013, it further diversified with the acquisition of a chemical bulking installation in Pasir Gudang. PGEO Group's commitment towards excellence has striven itself to continuously improve and brings only the best service to its customers.